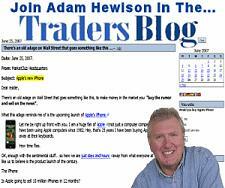 Do you have a website about option trading, forex trading, stock investing or anything educational about the financial markets in general - and would like to receive quality backlinks from a another site that is relevant to your site's theme? The BEST and most powerful links any site owner can ask for, are from other sites whose overall theme matches your own. 1. The article must be unique and in your own words - not something that has been copied to a dozen other article directories beforehand. We will verify this before publishing, with Copyscape. This is our policy for all our own articles on this site. 3. You can have a maximum two links back to your site with whatever anchor text you choose. These will be placed in an "About the Author" section at the end of your article. Once we receive your article, we may modify it slightly to optimize for SEO purposes but it will be essentially what you deliver.